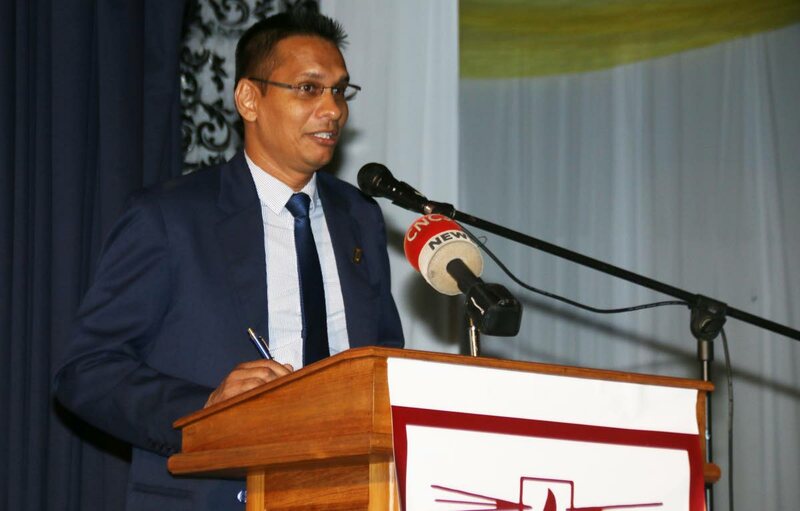 AS Education Minister Anthony Garcia explores legal options to stop the TT Unified Teachers Association’s (TTUTA) threat to rest and reflect on Friday, president of the union Lynsley Doodhai is saying the choice is much more than just an expression of solidarity with their colleagues in the oil industry. Doodhai said there are many issues affecting teachers, schools and the education system, including the refusal of the CPO to respond to their proposal for new collective agreements for 2014 to present, the “forced” marking of SBA’s without compensation, unacceptable conditions of work, non-payment of increments, upgrade of teachers, delay in payment for superannuation benefits for retirees, as well as refusal by the ministry to hold proper monthly statutory meetings. The Joint Trade Union Movement (JTUM) on the June 19 Labour Day platform in Fyzabad, resolved to mark September 7, the third anniversary of the Dr Keith Rowley administration in government, with a day of rest and reflection. Last week’s announcement of the impending closure of the Petrotrin refinery at Pointe-a-Pierre and the severing of the majority of the work force, has intensified the resolve of the unions to show solidarity by not reporting for duty. One day after Petrotrin’s announcement, TTUTA told teachers to stay at home on Friday and advised parents not to send their children to school. Garcia responded with a threat of his own, to seek legal advice from Attorney General Faris Al-Rawi and also the ministry’s in-house legal department to prevent this from happening. Doodhai said, like every other trade union, TTUTA empathises and expresses solidarity with the thousands of workers, their families and communities who will be affected by the closure of the refinery as it is apparent the decision was a unilateral one. However, he said this was an action contemplated by its general council since June to express its own frustration on key issues. Reply to "TTUTA’s rest and reflect more than solidarity for OWTU"